A special addition to any children’s party, the attendance of a superhero, princess, or fairy ensures a day that is truly unforgettable. At Kids Rule we work with one of the leading children's party entertainers to offer the most imaginative and creative themed parties. 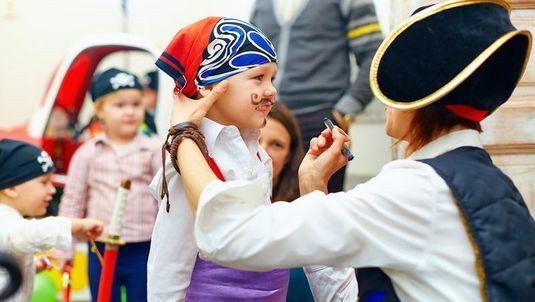 Their professional staff dress up as one of any number of party characters, from princesses to jungle explorers and pay a special visit to your child’s birthday celebration. Our entertainers have entertained at hundreds of parties of every shape and size imaginable and work tirelessly to deliver entirely fresh and exciting children’s entertainment every time. It is important for you to know that your children are in very safe hands, so let them do all the hard work while you relax with family and friends and get those all-important photos that last a lifetime. Two children’s party entertainers, one male and one female, are provided at all times, which not only means that they can cover more content, but they also emphasise inclusion. They will make sure that every child is able to get involved, including the shyer rascals that solo entertainers often fail to engage. To learn more about Little Rascals Parties, please contact us on 020 8115 2092 or email us at info@kidsrule.co.uk. Two children’s party entertainers, one male and one female, are provided at all times, which not only means that they can cover more content but they also emphasise inclusion. They will make sure that every child is able to get involved, including the shyer rascals that solo entertainers often fail to engage. To learn more about Little Rascals Parties, please contact us on 020 8115 2092 or email us at info@kidsrule.co.uk.